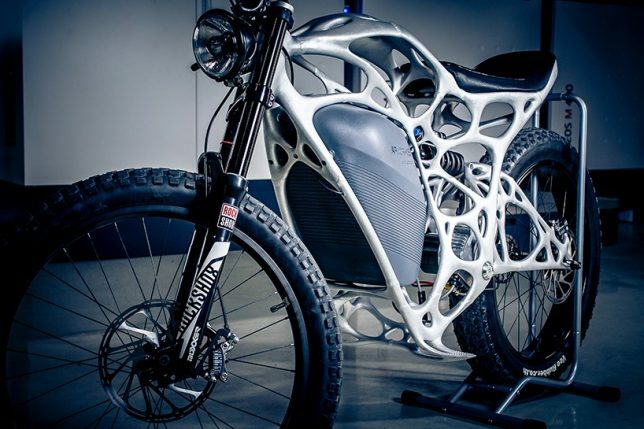 Exploring the question of how 3D printing could change the way motorcycles are manufactured, Airbus subsidiary AP Works created the ‘Light Rider’ by welding billions of particles of a special aluminum alloy using laser sintering. 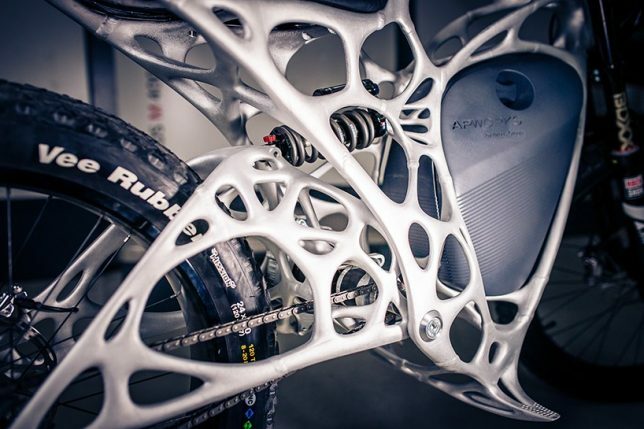 The frame’s exoskeleton-like design borrows from bone structures found in nature for a lightweight yet strong and well-balanced result. 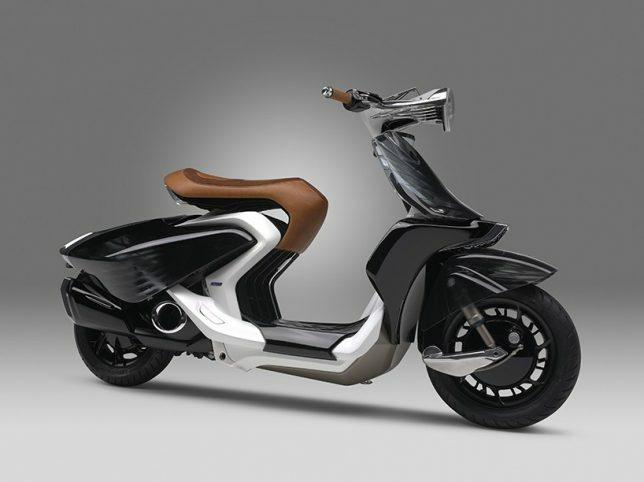 Taking inspiration from runway fashion and the wings of a swan, Yamaha presents a scooter concept with semi-transparent trapezoidal panels, a long, low silhouette and an elegant ‘neck’ supporting the handlebars. 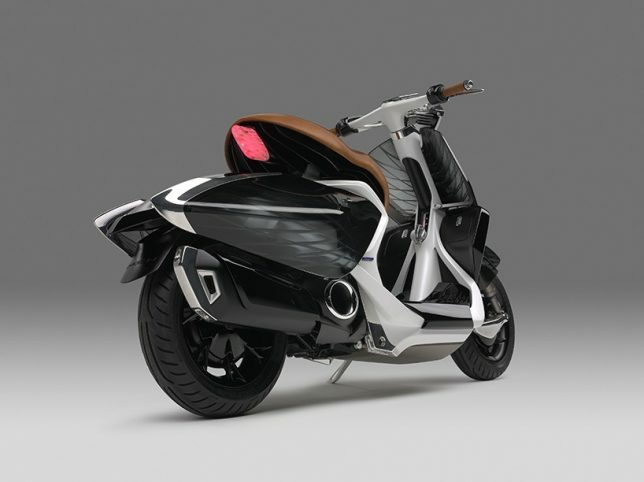 Glossy resin components contrast with real leather for a pleasing mix of textures. 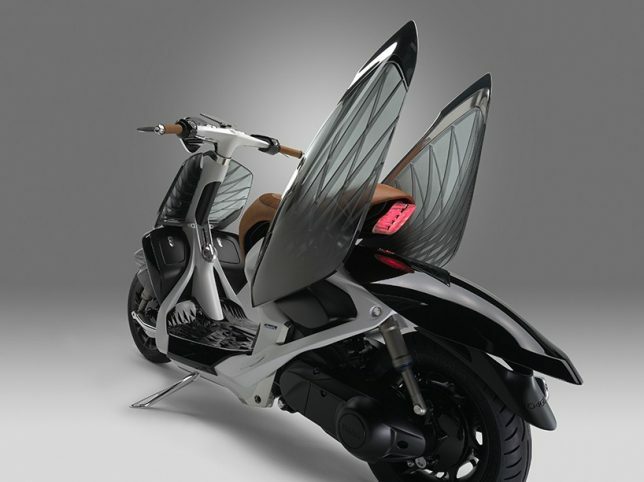 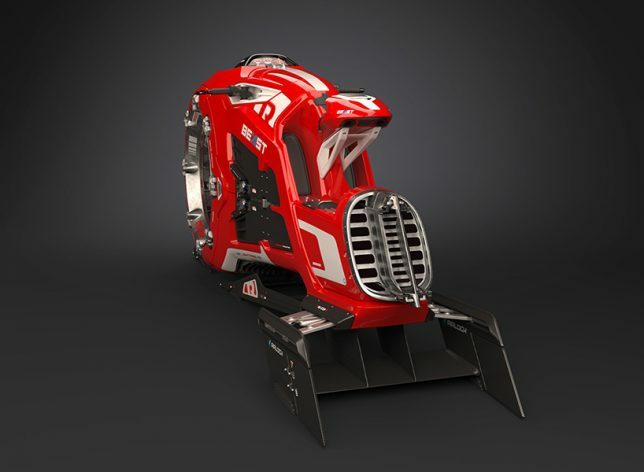 What will personal air-based vehicles be like toward the latter half of the 21st century? 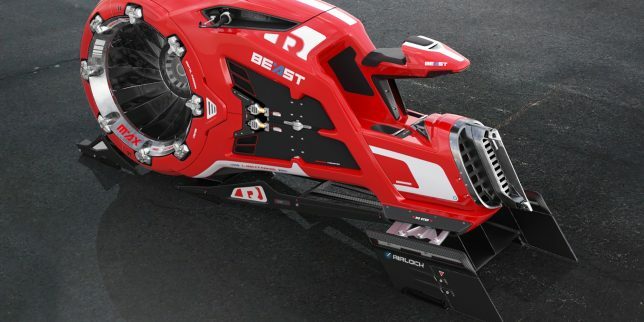 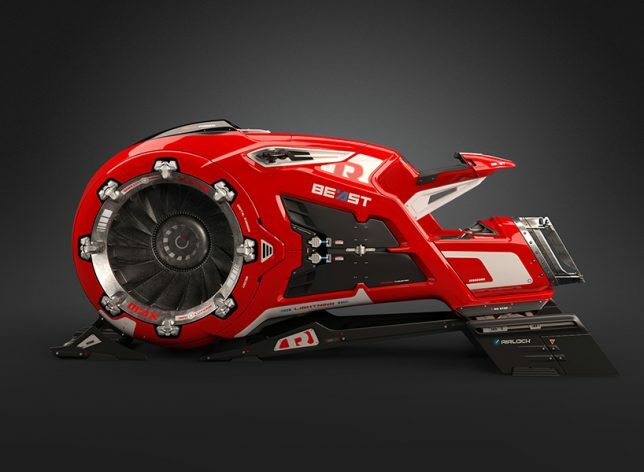 Berlin-based designer Rico Kersten explores that thought with ‘The Beast,’ a “radial fan driven hover-air-bike” using fictitious technology we can only hope will emerge in reality at some point in the future. 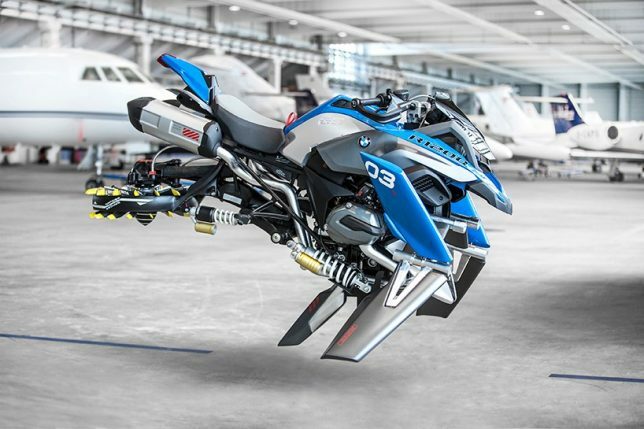 BMW and LEGO teamed up to create an ‘alternative model’ of the LEGO BMW R 1200 GS Adventure Model Kit – a standard motorcycle – using the same exact pieces. 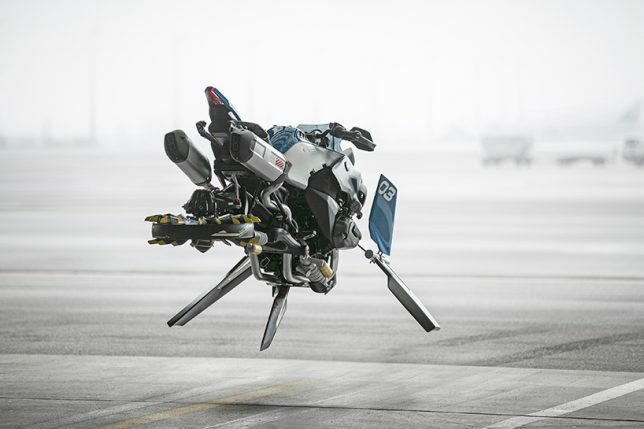 This hover bike is what happened when they didn’t follow the instructions. 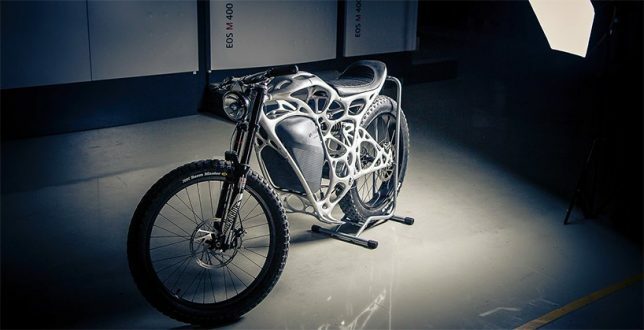 But then BMW took it a step further and built a real-life version of their fantasy creation using real motorcycle parts.